That is bizarre and crazy on the same time. bear. Ought to or not it's because MTN BBLITED turned into blocked? Why will 52,251 subscribers dump Etisalat? Some thing have to be actually wrong somewhere. According to a recent report released by NCC, It said that the number of subscribers that browsed the internet in January was put at 95.94 million; but reduced to 93.75 million in the month of February. The data revealed those internet users on both the Global System for Mobile communications (GSM) and the Code Division Multiple Access (CDMA) networks reduced by 2,194,162. 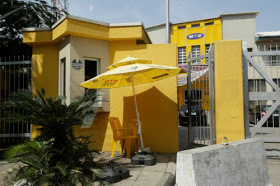 MTN Nigeria had 35.6 million customers browsing the internet on its network. MTN had a decrease of 2.6 million internet subscribers in February, after it recorded 38.21 million users in the month of January. Globacom had 25.68 million customers surfing the net in February, as the number increased by 248,593 from the January’s record of 25.43 million. Airtel Nigeria , had 17 million internet users in the month of February, as against 16.85 million customers recorded in January. It said that Internet users on the Airtel Nigeria network increased by 224,037 in February. Etisalat had 15.23 million internet users in February, against the 15.28 million in January, hence, reducing by 52,251 in the month under review. And i more specific with the reasons for Mtn Network, Considering the facts that MTN for the past one month have been very Hard on use it all Started when They blocked The use of MTN BBlited on Psiphon, and others too.. So i know many users would have opted in for the Glo Bis and other cheaper Data plans.. So let hear from you, are you among those that also dumped their Mtn sim? Lets have your Reasons via the comment Box.